I love podcasts. I listen to them a lot – when I’m driving, when I’m walking my dog, when I’m doing the dishes and when I’m mowing the lawn. I listen to a huge variety of them, and thought seeing as I mention them in some blogs, I’ll tell you some more about some of them. 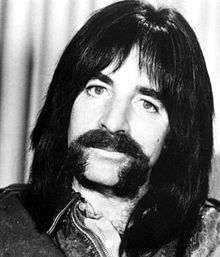 Most of you will know Harry Shearer, whether as Derek Smalls in the legendary Spinal Tap or in any of a number of other Christopher Guest mockumentaries, or as the voice of Mr Burns, Smithers, Principal Skinner and many, many other Simpsons characters. Some of you may also remember him from his occasional appearances on The Panel. What you may not know is that for almost thirty years, Shearer has been doing a community radio show in the US. When I say community radio, I’m not sure that it is quite like RRR or PBS – although KCRW has pledge drives and from what I can tell, the presenters choose their own content. What I really like about this is that, if you believe most representations of Americans, they are fairly ignorant about the rest of the world, and even their place within the world. Le Show is different. Shearer points out what is wrong in the world – at least according to him. He talks about things that are not being reported or are being under reported – such as the repressed safety reports of the full body scanners at airports. On top of this, Shearer uses his amazing voice skills to create a series of songs and sketches parodying the news. Personally, I find his songs a bit tedious, and if they are repeated, I generally skip through them, but many of the sketches are brilliant. My personal faves – Clintonsomething and the phone calls between George Bush Snr and George W Bush (referring to each other as 41 and 43). There are several things that Shearer is passionate about. Whilst he travels the world a lot, often recording in London or other far-flung places, he lives in New Orleans. Katrina, and most in particularly, the failure of the levees after Katrina, the poor handling of the situation by the government and the continuing situations arising with the Core of Engineers are bug bears, and very, very interesting. Shearer has had a variety of experts on his show to talk about the ongoing situation in New Orleans regarding the levees. He has a documentary, The Big Uneasy, which I am very keen to see, and it was through this podcast that I learnt of the book Nine Lives: Death and Life in New Orleans by Dan Baum which I had imported and absolutely love – watch this space, I’ll write about it soon. It took me a while to get used to Shearer’s style – slow with lots of pauses where I wondered if my iPod had crashed. It’s also not a podcast that I can listen to at any time – I really have to be in the mood for some thinking. But it is funny and it makes me feel smart, and I like that.